Marcus Tandler aka. 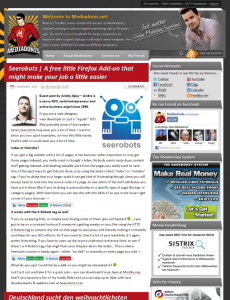 Mediadonis of the newly founded online marketing consulting company Tandler Doerje & partner.com kindly featured Seerobots with a gues post on his blog. 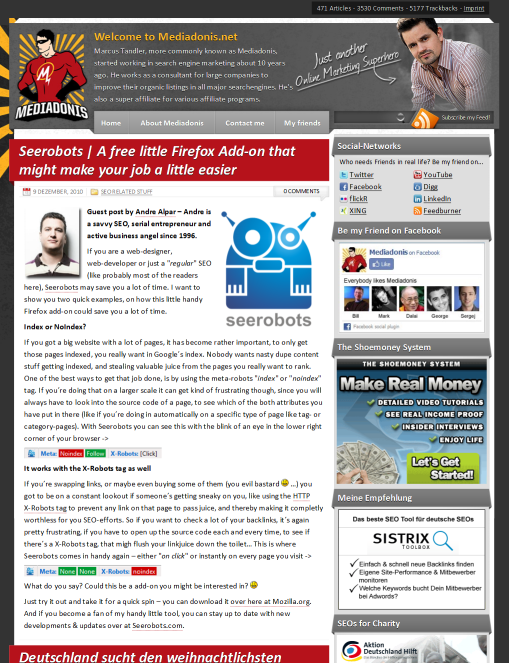 We strongly recommend to read it because we have described some use cases of Seerobots over there. Again: Thanks a lot, Marcus! thanks a lot for this small time-saving tool. I know it’s a little cheeky of me but X-mas is coming so I’d like to add something to my virtual wishlist. Do you see a chance to integrate some canonical functionality into the seerobots tool. I imagine something like this: Tool shows if there is a canonical tag on the page and if so it shows/opens canonical URL on click….